The nascent brewery also plans to eventually open a 12-tap tasting room. It’s an exciting time, local beer loons: Bushwick’s first brewery in 40 years is ready to unveil some suds! Our first chat with Kings County Brewers Collective, in April, was just prior to the release of a Meyer lemon–infused saison called “Yoga Pants” that was made in collaboration with Long Island City’s Rockaway Brewing Company. In addition to the salient characteristics of that beer, our conversation covered how partners Zack Kinney, Tony Bellis and Pete Lengyel met; plans for their 5,000-square-foot facility at 381 Troutman Street; and some beers they expect to make, like “Janiak Maniak”—a pilsner named for their endearingly eccentric landlord. The nascent brewery’s 12-tap tasting room has yet to open, but when it does, its CSA-like beer membership program will begin. 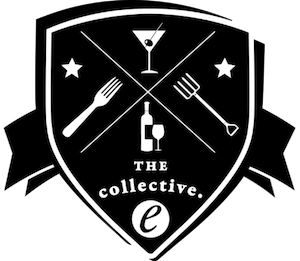 (The Collective’s highest membership tier, called “Baller,” will cost $300 and offer 36 Crowlers, access to preorder special releases and more.) They’ve been brewing for a bit in the meantime and their initial batches will be distributed to local bars and restaurants shortly.